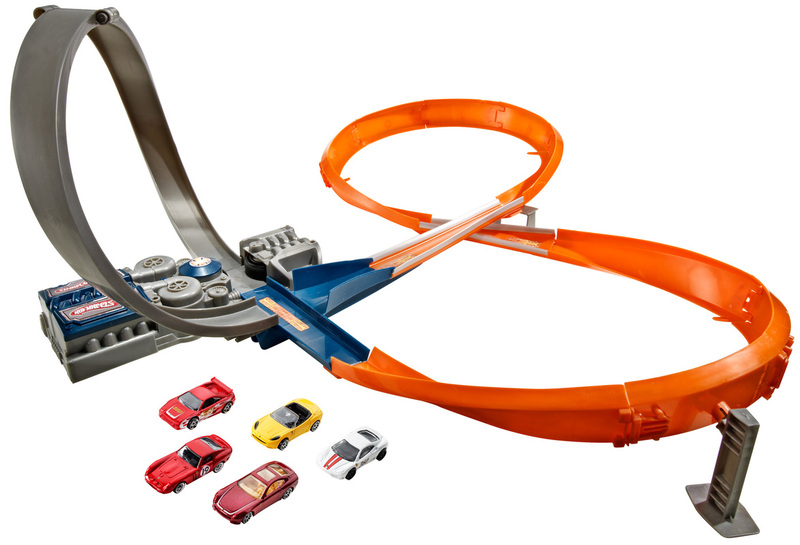 Power Hot Wheels® vehicles through deep loops, fast-banking turns and more than 6 feet of track! With three different configurations, kids can race their friends again and again. Motorized for speed, these cars can be kicked into high gear to find out how fast they really are! Includes 6 die-cast Hot Wheels® cars.